What if you had to fit something in your house that was nearly five feet tall, four feet wide and weighed nearly 900 pounds? Talk about an elephant in the room! Choosing the right gun safe for your unique space can spell the difference between a destiny of ease or frustration. Now imagine that you had to navigate that elephant down into the basement (Whoops! Watch your head, Jumbo!) or upstairs and into the hall closet (Try holding your breath, pachyderm). That's what it can be like trying to keep your guns and other valuables secure in a traditional, welded safe. Doing the responsible thing isn't always easy, but as poet Edwin Markham said, "Choices are the hinges of destiny." Choosing the right gun safe for your unique space can spell the difference between a destiny of ease or frustration. Gun safes vary in sizes and shapes, but one thing they're not is light. (Remember the elephant?) Nor are they typically inconspicuous, so a traditional gun safe may become the focal point of your living room décor - putting your valuables on display to anyone looking in the front window - just because it doesn't fit anywhere else and it's too difficult to move. But what if, rather than one big behemoth, you could break it down into manageable pieces, like that old saying, “taking bites of the elephant”? That’s where a modular safe comes into the picture. The first reason to choose a modular safe is ease. The SnapSafe line of modular safes allows you to literally take it one piece at a time. The safe is delivered in pieces, which the homeowner simply unpacks and assembles near the desired location. Assembly requires just one tool, the socket wrench that comes in the package. The SnapSafe modular assembly system locks the walls together from the inside, making them as solid and impenetrable as a conventional welded safe. It's easy for the average homeowner to accomplish. Assembly requires just one tool, the socket wrench that comes in the package. But maybe you're thinking that even a piece of an elephant weighs a ton. Far from it. 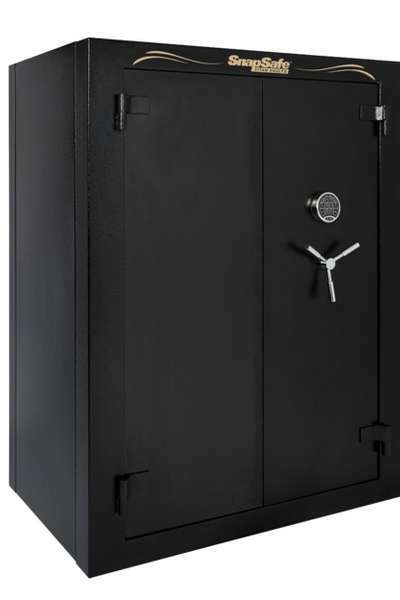 The heaviest piece of a SnapSafe varies with the model, ranging from the door of the Titan at 92 pounds to the back panel of the Super Titan XXL at 180 pounds, but that's still less than a quarter of the safe's total weight. 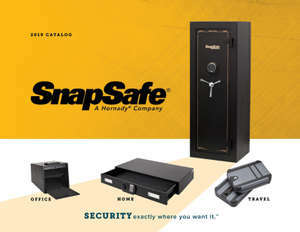 Unlike some safes that are dropped off at the curb, your SnapSafe will be delivered to your front door or garage door. Simply unpack the carton piece by piece and assemble the safe where you want it. That brings us to the second reason to own a modular safe, versatility. A modular safe opens up a world of possibilities for someone who rents rather than owning a home or someone who has to move frequently, such as an active military family. Whether it's moving SnapSafe to another room or across the country, the process is just as easy, disassemble the safe from the inside and move it piece by manageable piece. The modular system works just as well when the prospect of navigating confined spaces presents the only solution for stowing your guns and other valuables safely and away from prying eyes. If you want your gun safe in the basement next to your reloading equipment, don't worry. Low ceilings don't bother the modular pieces of SnapSafe, nor do tight hallways or even something like a spiral staircase at the family cabin. 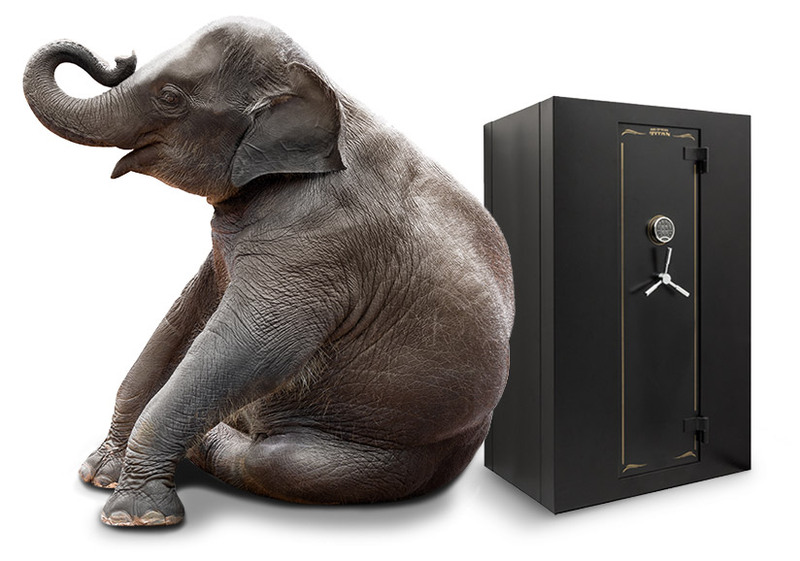 The third reason to choose a modular safe is the main reason anyone buys a safe: security. Whether it's your firearms, a coin collection or heirloom jewelry, SnapSafe delivers on that front, too. SnapSafe modular safes also come with a fire rating of 2300°F. 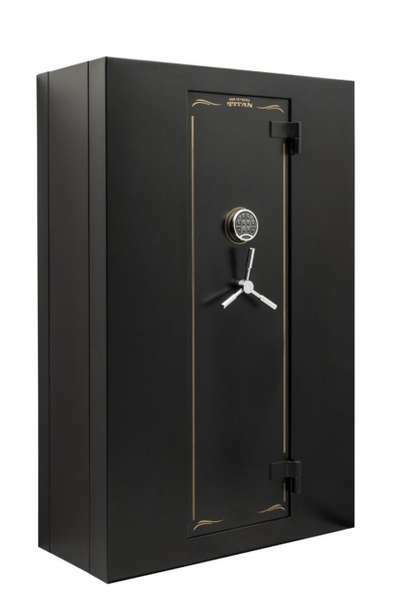 The modular safes feature 3/16th-inch solid steel doors that are sledgehammer and pry-resistant, eight one-inch chrome steel live locking bolts and 9-gauge two-ply steel exterior walls. 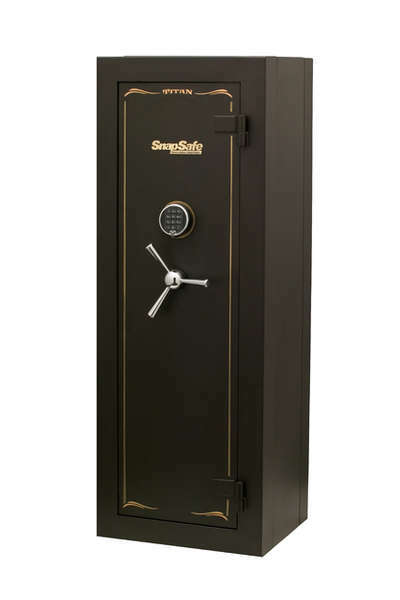 SnapSafe modular safes also come with a fire rating of 2300°F. That's more than twice as hot as the average house fire, which burns at about 1100°F, according to the National Institute of Fire and Safety Training, and SnapSafe far exceeds the fire rating of many other safes.